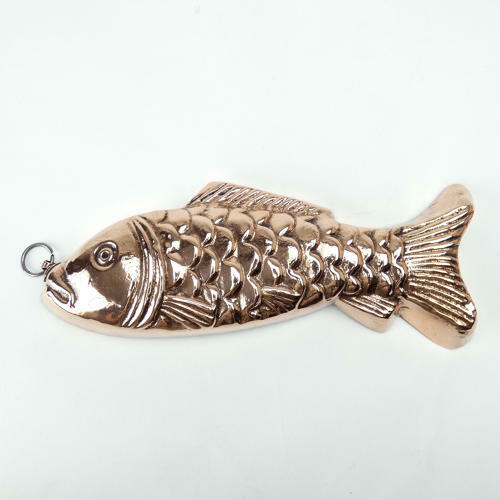 A French copper mould in the shape of a fish. Although there are many quite modern examples of this type of mould, this is a 19th century mould and it dates from c.1880. It is well made, from a substantial gauge of copper and the details the design is deep and well modelled both on the inside and the outside. There is a ring attached to the end of the mould so that it can be hung, and this is original to the piece. It is in very good condition and the tinning, to the interior, is still good enough for the mould to be used.